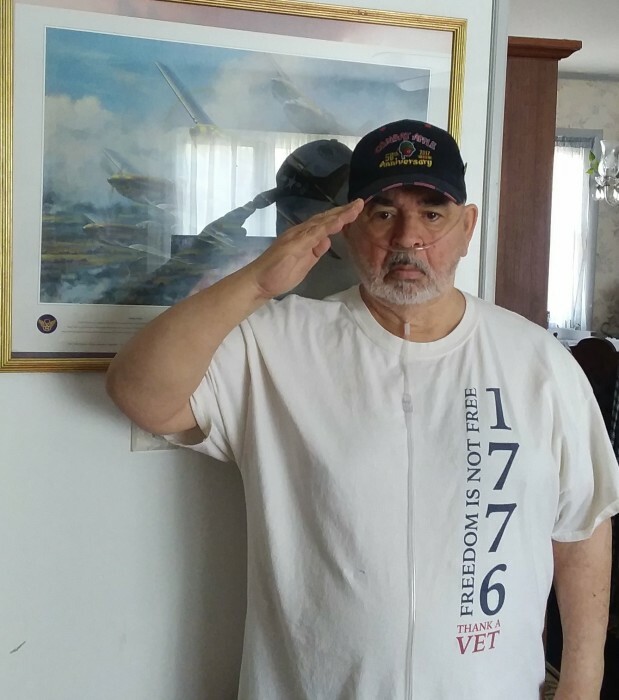 Thomas Luther Penn, Sr., 70, of Odenton, MD, after battling heart complications, passed away peacefully on January 17, 2019 at Shady Grove Medical Center in Rockville, Maryland. Tom was born October 14, 1948 to parents Allison and Linda Penn in Welch, West Virginia. Being from a military family, Tom and his siblings followed their father's postings in several different states and attended various schools. After secondary school, he briefly attended an engineering college in Minnesota before enlisting with the Airforce. It's of this time serving his country during the Vietnam War, Tom was most proud. He never forgot his tour of duty or his brothers-in-arms, and took every opportunity to attend a Veterans' service or to contribute to Veterans' causes. He was a member of the Silent Warriors, USAF Doggers, and Nakhon Phanom RTAFB. During his time stationed at Nakhon Phanom, Tom met and pursued his future wife, Phongsee Samrongphan, whom, he always jokingly loved to say, he wooed with 2 water buffalo. Tom spent a total of 32 years working for the government, 21 years as a U.S. diplomat, and during his free time, enjoyed hunting, fishing and golf. Let's not forget his culinary expertise. Tom always knew the best restaurant or pub around the world to experience for any type of cuisine. He loved entertaining with a good story about his travels and would enjoy a solid political debate. He was an avid reader and history buff, especially about wars. He most enjoyed spending time lunching with his fellow servicemen and his best friend, Rocky, and brother, Berkeley. He is survived by his devoted wife of 45 years, Phongsee, and by his loving children, Tom Penn, Jr. of Laurel, MD and Patricia Penn Hoey and son-in-law Timothy Hoey of Brooklyn, NY; grandsons Val Penn (9)and Alexander Hoey (1 month); and his siblings and several nieces and nephews. Tom was predeceased by his parents Al and Linda Penn and his favorite dogs, Alex and Echo. He will be sorely missed by his family, friends and brothers-in-arms. Visitation hours (9am to 12pm) and a memorial service (12pm to 1pm) will be held on Saturday, January 26 at the Donaldson Funeral Home & Crematory in Odenton, MD. Flowers and condolences can be sent to the funeral home or family residence in Odenton, MD.